Disclosure: This post is sponsored by Walmart.We are nearing the end of football season and that means that the big day to celebrate is just a week away. I personally love the end of football season not only for the food and fun associated with celebrating the big game but also because that means that the next season, baseball, is nearly here and with it are hopes of warmer weather to come. If your family are big sports fans you can appreciate quick and easy recipes to indulge in whilst watching your favorite team play. 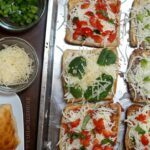 Today, I will be sharing with you an easy to customize recipe for mini ciabatta pizzas, using ingredients that can easily be found in local Walmart stores, that are sure to please every one in your crowd. First, start by slicing your Marketside Ciabatta Rolls in half (if they are not already cut) and place them cut side up onto a cookie sheet. Place cookie sheet under broiler in oven until inside of ciabatta rolls are lightly toasted. Watch the rolls very carefully, do not walk away from the oven as they can burn very easily. You just want the rolls slightly toasted to prevent the bread from becoming too soggy when you add your pizza toppings. Remove from oven and begin to assemble the pizzas. The toppings that you choose and the amount is up to your own personal preference. I've included a list of ingredients for 3 types of pizzas above. With all of the pizzas first start by brushing on a thin layer of sauce, about a tablespoon of either alfredo or regular pizza sauce, onto your ciabatta roll as evenly as possible. Then add the cheeses and after that add your meat or veggies. Once all of your ciabatta pizzas have been assembled, in a preheated 350°F oven, bake mini ciabatta pizzas for approximately 10-15 minutes. Ovens may vary in cooking times. Mini ciabatta pizzas are done when the cheese is melted completely or begins to brown slightly. These mini ciabatta pizzas are so delicious you are going to want to make them even when you aren’t cheering on your favorite sports team. I like that these mini ciabatta pizzas are a little bit different from your average slice of pizza, you still get your favorite flavors but in a personal size that is easy to enjoy during game day. Also, they can easily be customized to whatever your personal preference might be so it is easy to please everyone at the party. 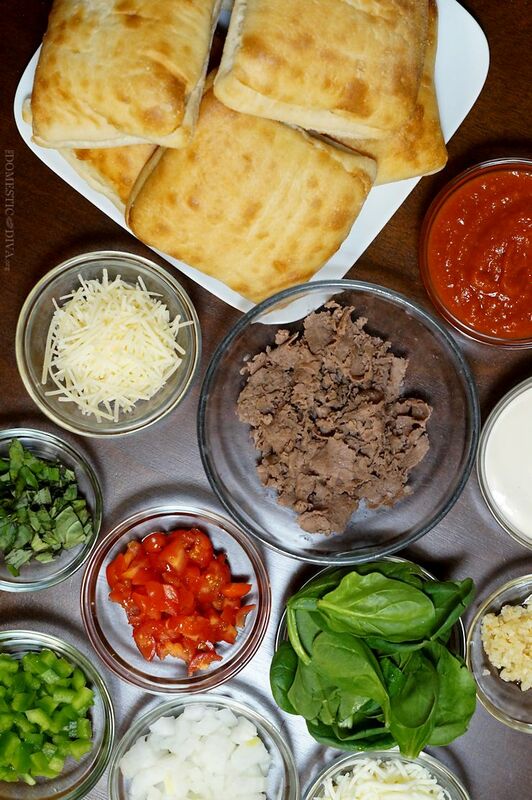 All of the ingredients to create your own mini ciabatta pizzas can be found in Walmart stores. What is your favorite football foods that you like to enjoy on game day? Need a homemade pizza sauce recipe? Don’t worry, I’ve got you covered. 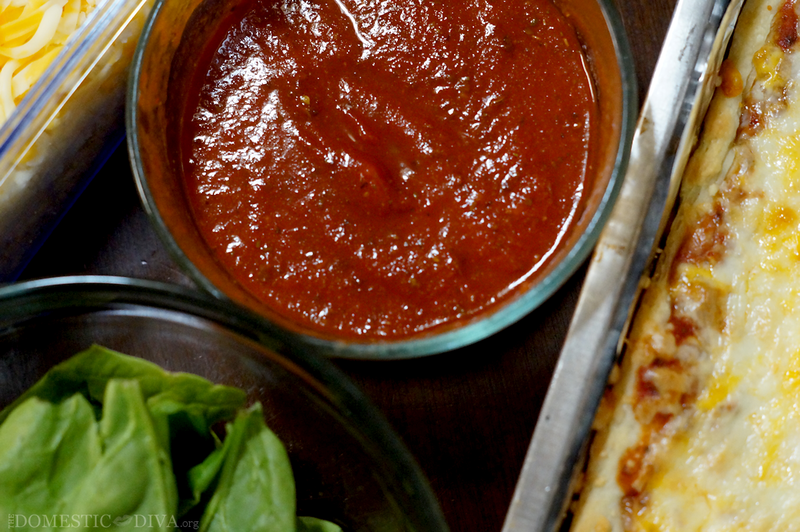 This homemade pizza sauce recipe is quick and easy to make using only a few ingredients. Disclosure: As a participant in the Walmart Moms Program, I have been compensation for my time and efforts in creating this post. All thoughts and opinions are my own.